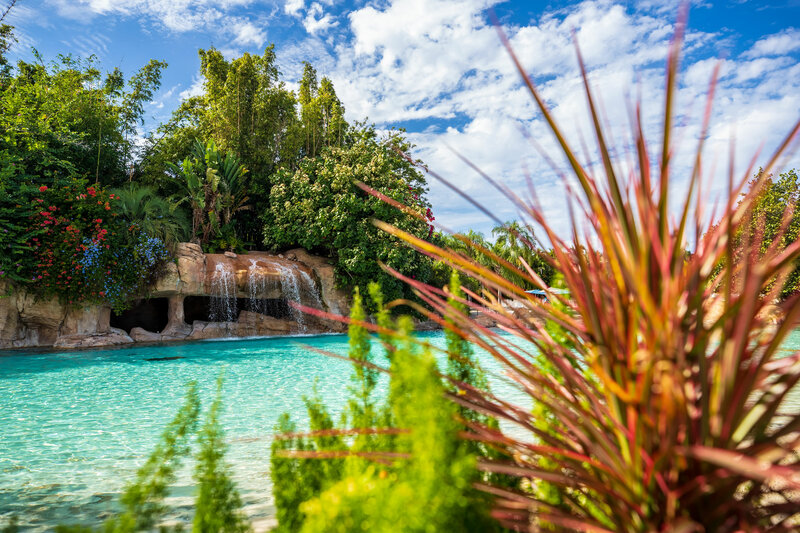 View some of the wonderful areas Discovery Cove! Discovery Cove is an all-inclusive day resort where you and your family can enjoy a one-of-a-kind opportunity to swim with dolphins, snorkel with thousands of tropical fish and rays, hand-feed exotic birds and unwind on pristine beaches. With no lines throughout the park, you can plan your adventure at your own pace. Every visit to Discovery Cove includes complimentary amenities like fresh towels, snorkeling gear and more. Enjoy unlimited access to a fantastic selection of food and drinks all day long. Make a friend that will live in your heart forever when you experience the highlight of your day, a one-on-one dolphin encounter. Venture beyond the beaches and waterfalls of Discovery Cove and enter a hidden treasure, the Explorer’s Aviary, where an inspiring natural habitat sings with the rhythm of wings and the melodies of birdsong. Swim and snorkel with thousands of tropical fish through this stunning coral reef habitat. River Cruise Savings- Save $400 on Avalon Waterways! Holland America: Receive up to $600 onboard credit! Lisa Federico, an experienced travel professional, founded Academy Travel as a full service travel agency in 1996. She also established a Disney focused division, MickeyVacations.com, and became one of the first Disney focused agencies in the country.